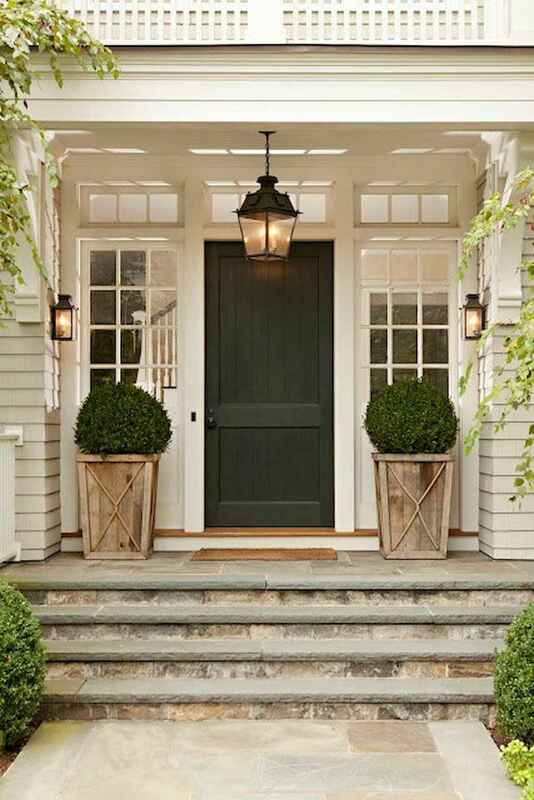 With such a cheery, sprawling exterior, the front door needs to draw attention and dark paint does the trick. This black door catches the eye, even when it rests in shadow from the portico overhead. Be sure to use durable exterior paint for this project. Even storm doors cannot protect interior paint from the damaging effects of thunderstorms and normal wear and tear. Slim-line, wall-mounted lanterns ensure that guests are bathed in warm light.